South Pole announces the addition of René Estermann, who for the past 12 years was CEO of the climate protection foundation myclimate, to its team. Now united with the founder of myclimate, Renat Heuberger, René is channelling his energy into making an impact at the global sustainability solutions provider, South Pole. Young people are taking to streets across the world to protest for urgent protection of the environment and the broad support for climate initiatives worldwide, representing a growing shift in popular opinion. The public is demanding that both corporates and governments take a clear stand against climate change or face being held accountable. "With rapidly growing numbers of companies and individuals engaged, it's high time for far-reaching and effective climate change strategies. I look forward to working as part of South Pole's highly motivated team to accelerate and expand the pathway to decarbonising our economy and society with local action and a global view," says René Estermann, ex-myclimate CEO and now working at South Pole. "With the addition of René and, last year, Swiss politician and sustainability expert Bastien Girod, we have been able to boost our rapidly growing team. Founded at ETH Zurich, South Pole today employs more than 300 experts worldwide in the fight against climate change," says Renat Heuberger, CEO of South Pole and founder of myclimate. The track record of the company speaks for itself: so far, South Pole has saved more than 170 million tons of CO 2 with more than 700 climate protection projects. This corresponds more or less to the annual GHG emissions of the state of New York. South Pole has also channelled over USD 15 billion worth of investment into renewable energy and contributed to the generation of 140,000 GWh of renewable electricity. At present, South Pole is proud to serve more than 3,000 global clients, including several major corporations and governments. René brings 30 years of experience in environmental and climate protection. As CEO of the myclimate foundation between 2006 and 2018, he grew the foundation from an ETH startup to become an internationally renowned climate protection organization. 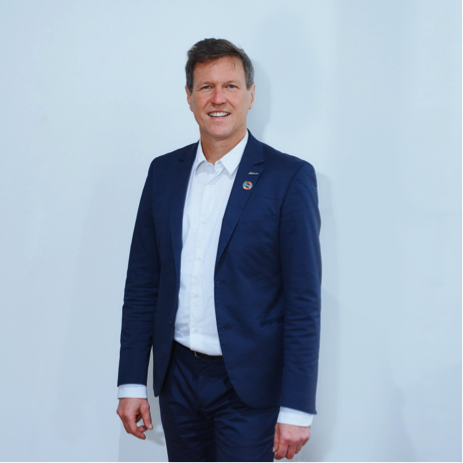 In his new management role at South Pole, René – in collaboration with the founders of myclimate, South Pole and a rapidly growing team – will bring Swiss climate change and sustainability expertise to companies, organisations and governments worldwide.